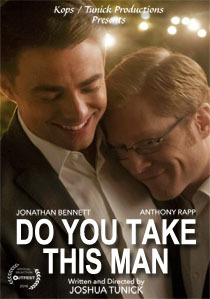 Daniel (Anthony Rapp) is the older and more controlling of the partners. Christopher (Jonathan Bennett) looks like a boy toy, but he proves to be more strong willed than first appearances suggest. 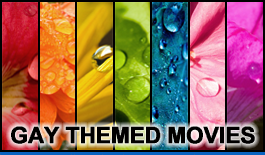 The action takes place over the course of a single day, as Daniel organizes a rehearsal dinner for their closest friends and family. Two of Christopher’s friends have a surprise in store as their wedding present: they have tracked down a woman who was Christopher’s closest companion while they were growing up. They were out of touch for years, but Christopher is thrilled to be reunited with her, while Daniel is miffed that he never knew of her existence.